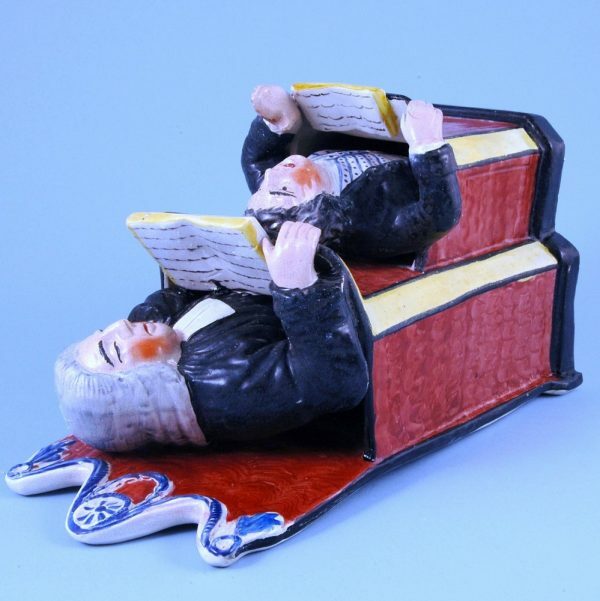 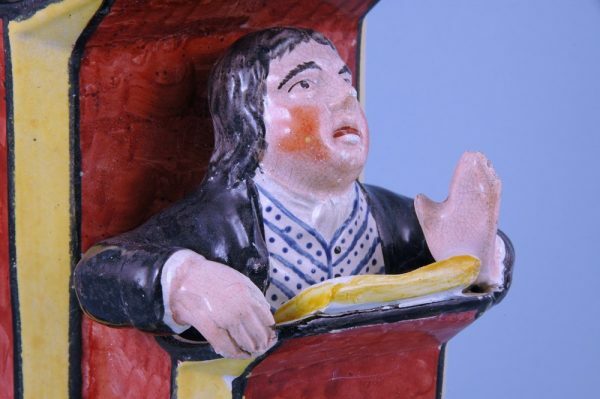 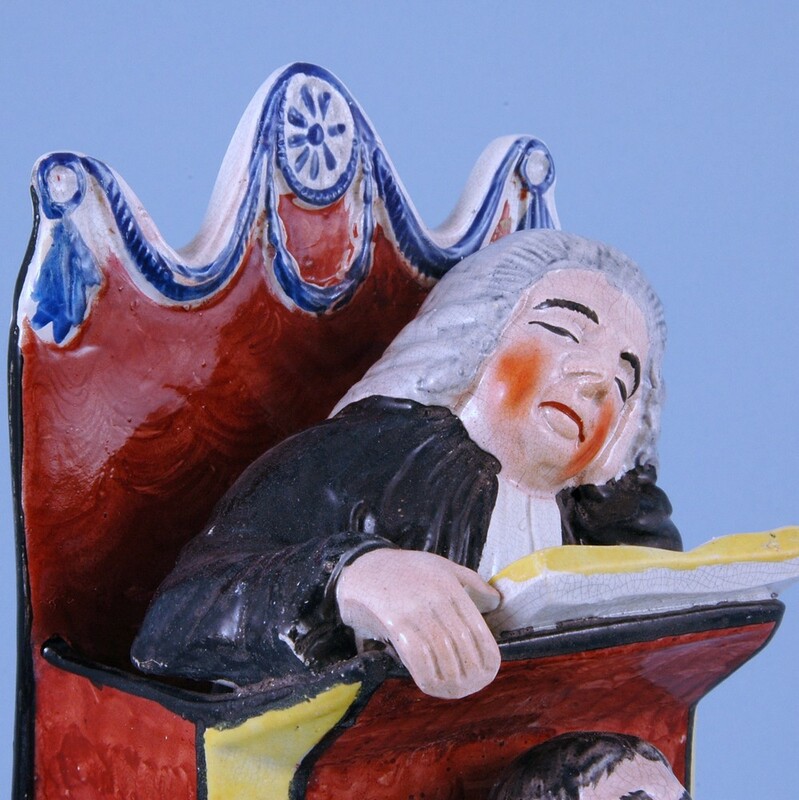 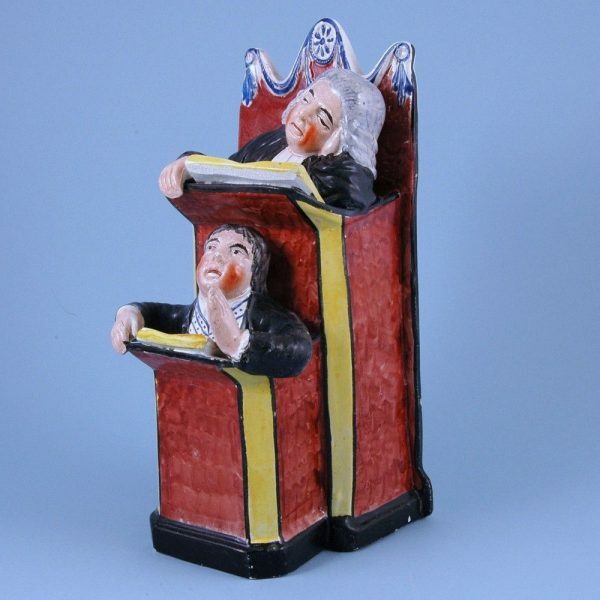 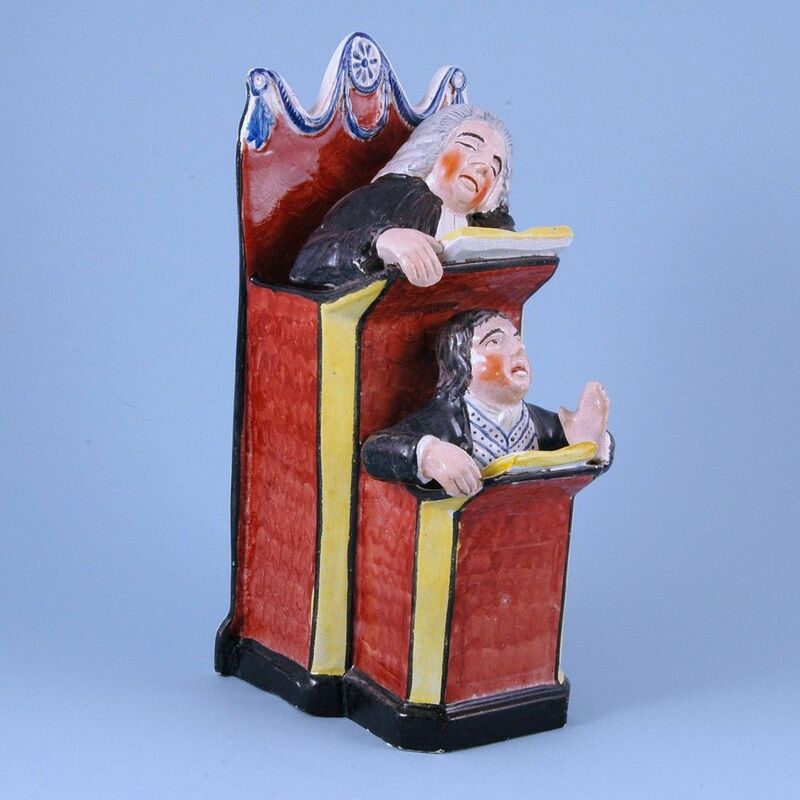 A very decorative early 19th century Staffordshire pottery group of The Vicar & Moses in a pulpit, a 19th century version of the famous Ralph Wood group from the 1780’s. 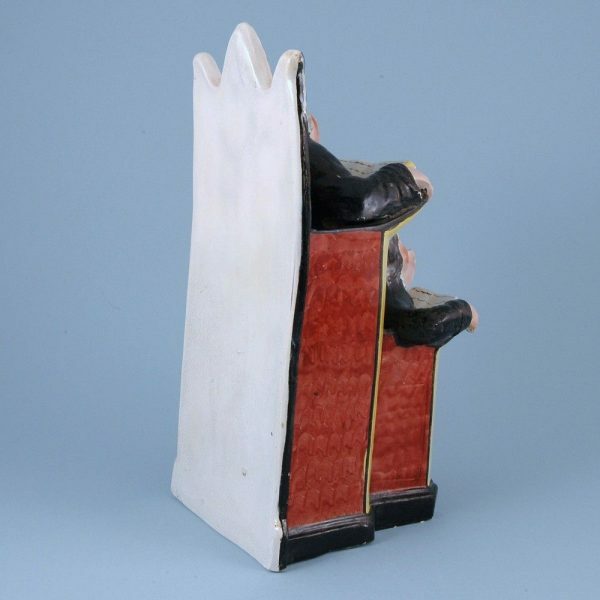 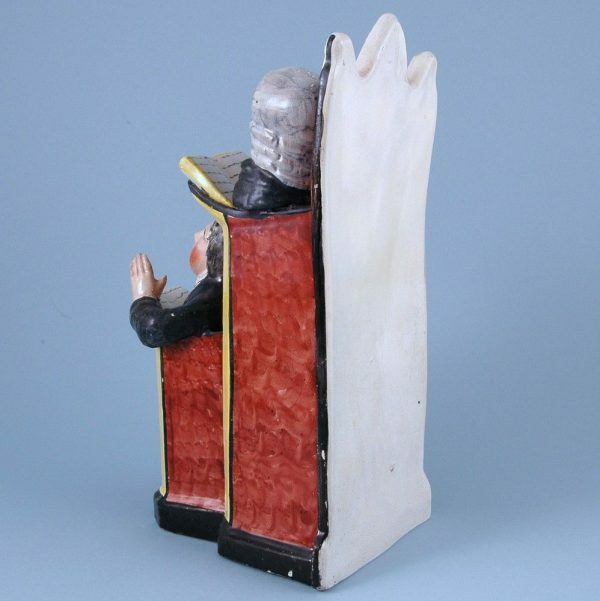 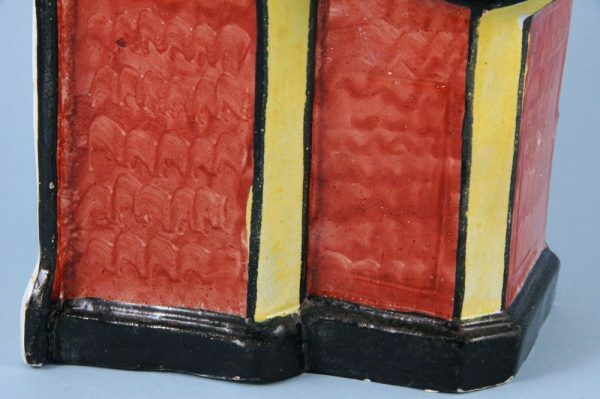 Pearlware decorated with overglaze enamel colours, the pulpit has an unusual simulated wood grain finish. Condition: Some good restoration to a break across the back of the pulpit near the top, Moses’ fingers and part of the book. 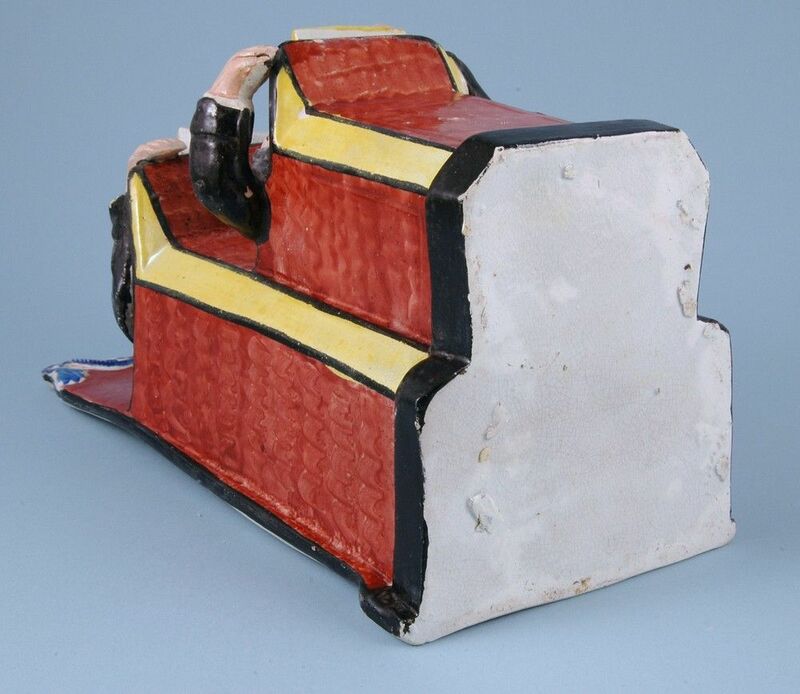 Small chips & surface wear.